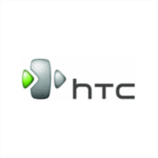 If your device DOES NOT PROMPT/ASK FOR UNLOCK CODE: DO NOT ORDER UNLOCK CODES as your HTC One M9 phone will not allow you to enter these codes. Unlock your HTC One M9 Now! Simply provide your details and phone serial number and we will email you the unlock code with Easy-to-Follow Step-by-Step instructions. Important: Select the Current Country & Network your HTC One M9 is locked to. Do NOT select the network you want to use. The HTC One M9 updates the M8, with improved battery capacity, a higher megapixel camera and better speakers – meaning it’s great if you use your phone for listening to music, taking photographs and browsing the internet. The design of the handset is also eye-catching, with a rounded, metallic design on the back which HTC is marketing as ‘jewelry-grade’.